Hello welcome yes yes let's get started. First and foremost this episode has been under the works for quite a while. The readme in the file will go into detail for anyone interested about it. Instead I'll use this space to talk about the episode itself. It contains around 80 levels (which aren't short by the way) and around six hours of gameplay (just an estimation). Honestly I didn't expect to make it so big but meh. The episode started out as a Mario or Luigi only but I decided to let the player play as anyone in the end. All levels were tested with Mario so if a level is unbeatable somehow with a certain character please tell me. Anyways have some screenshots. Screenshot above is from the 1.3 version. The story of this episode begins with Peach summoning you to her castle. Apparently an odd cavern was found nearby and she is sending you to check out what's inside. What awaits in this cave? Is this another one of Bowser's schemes, or is it something far more sinister? I'll say right now the first few levels are going to be barebones. Don't expect a crazy amount of customization. Considering the size of this there might be a bug here or there. If you find any feel free to post them. I would appreciate it. This is the 2.0 version which includes multipoints for the longer levels. Some very minor changes if a few levels too but its not worth mentioning. This is the old 1.3 version which does NOT include multipoints. Only use if you're scared of 2.0. Like the last update, this update features many fixes and tweaks including the addition of a brand new level. Check the change log spoiler below for a complete list of fixes and changes. The current download link for the episode features these fixes. -Removed some enemies in "Pipe Ascension" to make some spots less cluttered. -Added more power-ups in "Ravine Lake". The key and keyhole for the secret exit has been moved. -Added more power-ups in "The Tallest Tower". -Added enemy npcs in the beginning of "Crevice Canyon". Also added a few power-ups. -The clown car ride in "Crossing the Gorge" is now a bit easier. Added two power-ups in the first section. Added some backgrounds in the last section. -The secret exit in "The Mines" has been moved to be a bit more challenging to get into. -Added a shell spawner in the secret exit room in "The Hottest Cave" to help with activating a block switch should the player need it. -Added a hint block at the beginning of "Slippery Sprint" stating that the first section breaks in three paths depending on how fast you are. -Fixed an issue where the player could get stuck in water in "An Icy Path" with no way of jumping back out onto solid ground. 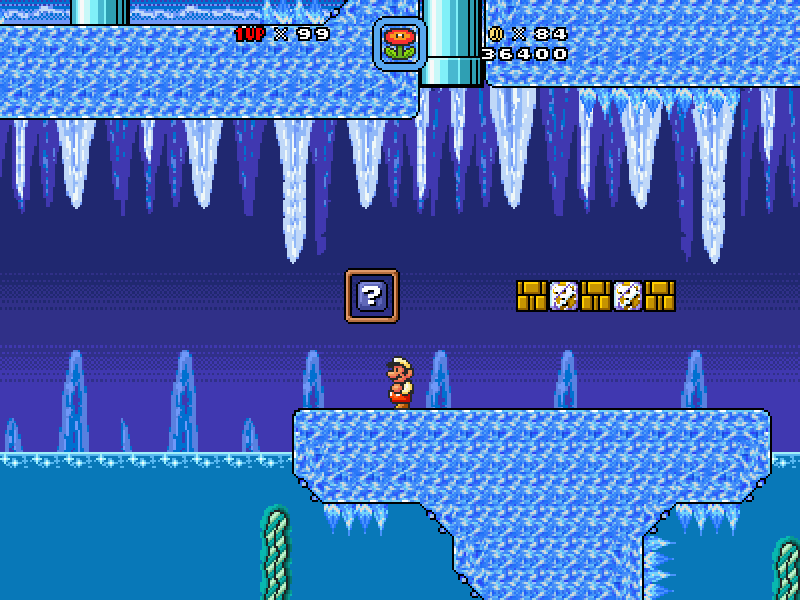 -Removed piranha plant from secret exit pipe in "Frozen Forest". -The platform you land upon in "Heated Ashes" after a short slide has been editing a tad to stop the player's momentum. -In "The Resistance" the checkpoint has been moved before you defeat Lemmy, rather than after. -In "Enter the End", added some coins to indicate some safe platforms from the lava rises and falls. 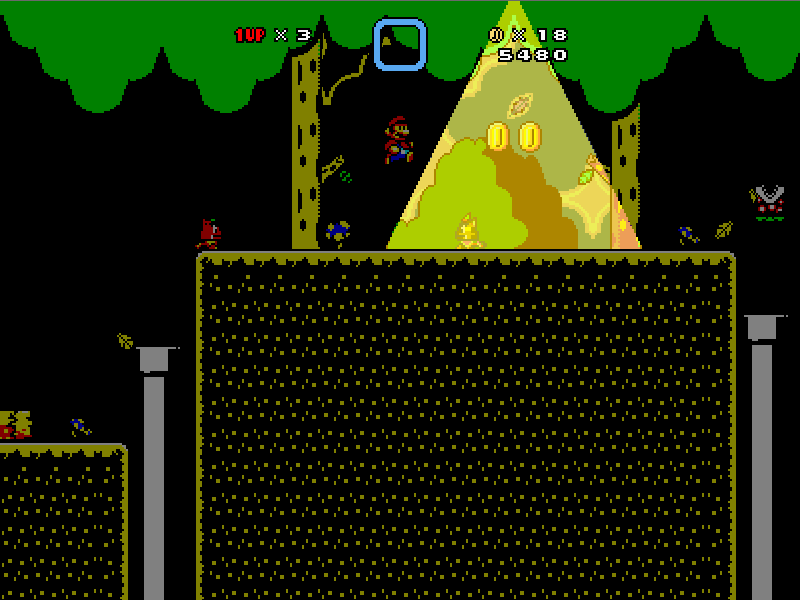 Added coins under a vine block to suggest to the player to hit it for safety rather than run past it. -Added some mushrooms in "The Game Changer" as you are forcefully moved forward (and backwards). Removed a few enemy placements. Removed arrow blocks in the boss room. -Added steps in some spots in "Sulfuric Sprint" to help you climb the higher ledges. (Rather than just running and jumping) The rise of the acid has been slowed by approximately 20-30 seconds. Made slight changes to parakoopa placements. -Removed the long pointless hallway in "The Grand Finale". Removed a rinka block in the first boss fight as well as slowing the add generator and increasing the shell generator spawn times. Bowsers flames are now 30% smaller. Ice flowers are immediately available per final boss fight phases. -In "Under Construction" when the crane you ride on stops the parakoopa generators will take longer to spawn more npcs. -Removed a few platforms that would fall when stepped on in "Temple Raider". Added rupees pointing at the first two traps to (hopefully) give the player a hint toward the miscolored tiles on the floor. -Replaced edged paths in the world 6 map with curved ones. Fixed "The Dark World","Industrial, and "Sunlit Cavern" secret exits to not open all other paths when beaten. -A brand new level called "Crystalline Quarry" will be replacing "Icy Bound" on the world map. "Icy Bound" will be moved into the next world to be the first level in the ice world. (As of this update this level will feature some small lunalua particles effects for 2.0 users but can be played in the 1.3 without the effect. The effect isn't anything major.). -Changed a fire flower powerup into a leaf in "Bat Caverns. Also some minor tweaks. (The pipe in the beginning that leads to the blue switch block is easily distinguishable from the other two pipes). -Added a checkpoint to "Broken Rides". Placed a powerup near the checkpoint. -Fixed small textbox issue with toad calling the player Mario. (since you can be five different characters this was a small oversight by me since I used Mario to test everything). -Killed a few enemies in "Tank Time" and also replaced a few powerups with others to make it easier on the player. Fixed a background issue. The background will now change properly after leaving the cave section. -Changed the secret exit in "Antique Landscape" a tad. It's easier to find now. -Removed a troublesome bullet bill that takes a cheap shot at the player during a jump in "Don't Look Down". -Added a checkpoint to "Lakitu Plains" and placed a powerup block near it. -Fixed screenlock during boss fight in "The Element of Patience". 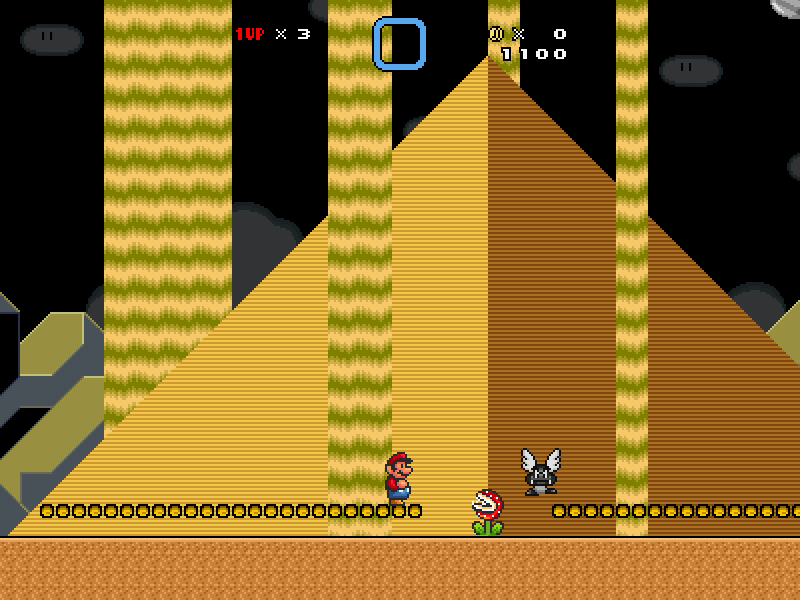 -Added a checkpoint to "Those Cheap Looking Pyramids". Also moved the turtle shell spawner at the end to spawn vertically to prevent an infinite amount of shells spawning. -Minor tweaks in "Deep River Swim". Added a powerup halfway through the level. Removed a few poorly placed enemies to make it easier for the player. -Minor tweaks in "Pyramid Ambush". Added a hazard in the boss room to make it a tad more challenging. -Added a few power-ups in "Royalty". Tweaked the small cutscene (if you can call it that) to give the player more time to react in the case the dark bowser breathes fire to kill the chancellor. -Minor tweaks in "Black Oasis". Removed some troublesome placed enemies and added two more powerups in the level. Added a hint box to let the player know the proper way of jumping out of water (just in case you never know). -Revamped the area after the checkpoint in "Industrial". The squashing section is shortened as well as being more player friendly. 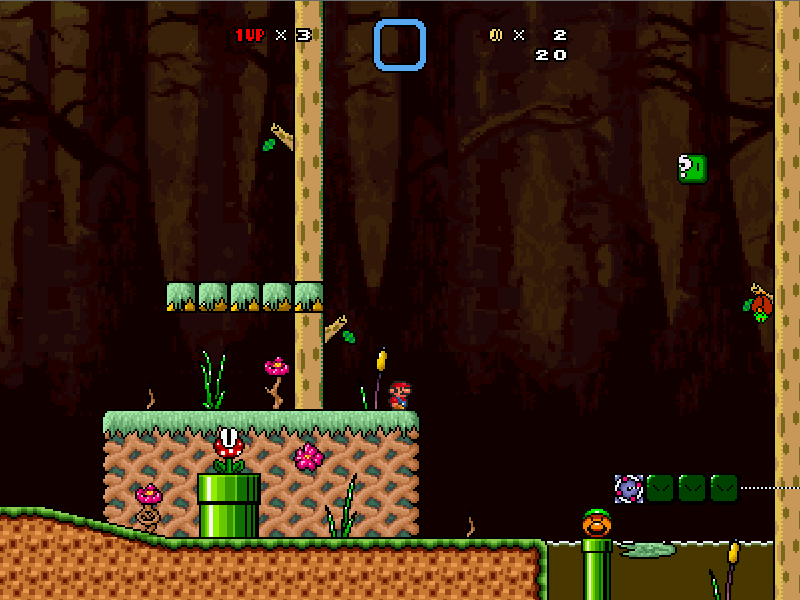 -Removed a poorly placed bat in "Turtle Hopping Zone" that would fly at the player mid-jump. -Removed a sign in "Ludwigs Castle in the Swamp" that explained a glitch that could happen. This glitch involved automatically moving on a fence when jumping off a moving platform. This has been fixed and won't happen during your playthrough. -Redone a sign before the boss fight in "The Element of Endurance" that explains what exactly you need to do to pass the test. Added a rinka that will appear near the boss fight's end to make it more interesting and less boring to sit through. Fixed a music issue where the level music would restart when engaging the boss fight. -A Mario and Luigi character block has been added in "Elevation" since a blue yoshi is needed during this level. -Removed some sunlight in "Sunlit Cavern" (yes that huge sunlit section is gone, you can remove your sunglasses. There's still some sunlight since that's the gag of the level but nothing insane). Also removed some enemies and made a few sections more player friendly. -Added a checkpoint to "Eternal Night" as well as a few powerups. Minor tweaks on some platforms. -The beginning of "Celebi's Leaf" is now easier to fly through. Added a powerup box at the beginning of the water section. Also the water section was mildly tweaked. -Placed coins indicating the sudden cage turns in "A Ghostly Entrance". Also added a powerup near the checkpoint. -Added a checkpoint to "Black Caverns". In the section with the key made a few minor adjustments to the roof giving the player a little more room to jump. -Toad now gives a hint to the puzzle in "Hidden Ruins". Tampered with the Rainbow Shell ride a little to make it a bit less tedious. Fixed the area where you throw a shell to hit a question block to make a vine. Minor fixes in various areas. -A few leaves can now be seen falling that you can catch in "Upwards, the Portal Awaits". Also changed the speed of the autoscrolling section a tad (from 1 to 0.9 haha). -Tiny adjustments in "The Empty Sky". -Removed paragoombas in "Cloud Switching" during the final section. Moved the parakoopas around as well during this section. -Some powerups were added in "Sky Factory". Minor adjustments were made in the section with the secret exit. -Added a checkpoint to "Natural Growth". Removed a few poorly placed enemies as well. -A section in the maze in "Skyward Sawmill" was redone a little. Added a powerup next to the checkpoint. Removed a few enemies from the maze as well to make it less cluttered. -Added more powerups in "Cloud Tower". Lowered the side platforms the mushroom blocks were on during the boss fight. Placed a mushroom in the middle that the player can take if he/she gets hurt during the fight. -Revamped "The Element of Agility" to be a bit easier. (This level still remains difficult but it's definitely not as bad as it was before). If you wish to play the true kaizo Element of Agility you can do so via the level editor. Load the level "Element of Agility Pro" (which is located with the rest of the levels) if you want to experience what it was like before the change. -Removed a pointless second checkpoint in "Crossing the Gorge". Made boss fight a little easier. -Small adjustments to "Stack 'Em Up". Added a checkpoint to the level as well. -Minor changes in "A Chilly Reception". -Added more powerups in "Slippery Sprint". Removed a few enemies. Minor tweaks. -Minor tweak in "An Icy Path". Ice spikes were removed to make a vine jump easier. -Fixed a small graphical problem in "Frozen Forest" where some ropes weren't attached to the ceiling properly. -Added a checkpoint to "Heated Ashes". Placed a powerup near the checkpoint. Minor adjustments to terrain in one section. -Added a powerup in "The Resistance". Also added a mushroom at the boss fight. -Added speaker boxes that let the player know that there is a secret exit available in the following levels "Ludwigs Castle in the Swamp", "A Ghostly Entrance", "Heaven's Reach", and "Ludwigs Return". (these levels use buildings on the world map so a secret exit can be missed easily). -Removed previous playthrough saves but added a save 3 file that is completely done with 99 lives for any player who wishes to play casually and just see the levels. -Updated credits to include Cedur for helping out. -Placed readme into the "Your Journey Awaits" folder. You can extract the zip file directly into your smbx worlds folder now. (some people may get confused as to why the episode wont load if they extracted the zip directly beforehand. This was the reason and has been fixed). -Some world map tweaks. Fixed some of the level exits. Instead of having the secret exit open all exits in some of the levels, it will now just open the secret exit. -Amplified the "Royalty" and "Mirror" soundtracks a little to make it a tad louder to match the sound effects of the game. (the sound effects of smbx 1.3. If you're using beta 2.0 the music may not match the volume of the sound effects). -Amplified the "Industrial" and "Refurbished Factory" soundtracks a tad. -De-amplified the "Natural Growth" and "Stickerbush Hitchhiker" soundtracks down a tad. -Daisy now replaces Peach as a playable character for obvious reasons because playing as Peach and meeting Peach would cause a paradox that would destroy the entire universe. If you would like to see the wiki page that Cedur put together about this episode feel free the visit it here. Also I would like to thank you for checking out my project. When I worked on this I never thought I would get to the point where there would be a functioning download link to it, but here we are. Really hope you enjoy and if you find any bugs let me know and I'll squash them the best I can. Last edited by Daring Tombstone on Sat Mar 09, 2019 6:45 pm, edited 34 times in total. I'll probably let's play this, it looks cool. I also need to check this out, this looks like it deserves more attention. So far it's perfect as all heck. It's the perfect mix of rage quit, tough, easy, normal, fun, and excitement. This should be in the "featured worlds" section of the website. I've found a bug in Strange Caveren, it seems like the starting point is placed near the end of the level by mistake. Yes haha that wasn't intentional. I had that event at the end of that level I needed to test because I slightly changed it and forgot to put starting point back. I'll have to fix that. I'll look into decreasing the timer on thattank level as well. Feel free to name any other problems you find. I do appreciate it. Loved the multiple endings concept. Great final level. Like I put in the readme, this episode has 3 endings and an easter egg ending. The process of getting these endings are very simple which I'm sure you could figure out (except for easter egg) but I'll put them in the spoiler below. Good Ending - Obtained by simply beating the final level and using the required four stars to escape through Celebi's portal. Neutral Ending - Obtained by beating the final level, but speaking to Celebi to open another portal that doesn't require star power. This ending obviously made for the player who fails to find four stars in the game by the end. Evil Ending - Obtained by releasing dark bowser clones into the world. At the checkpoint in the final level go through the door on the right and hit the switch inside. If you die to the final boss you MUST hit this switch again otherwise the good ending will occur. Go through the 'good ending' door which required four stars. Going through the neutral portal will still give you the neutral ending. Easter Egg Ending - The easter egg ending is obtained in Animal Village, the last secret world level. Once you have ran all of the villager's errands, go back to the beginning to find Isabelle standing outside town hall. Speak to her and she will give you a letter in a present. Once the letter has been read, an event has begun, but will trigger in approximately five minutes. Just run around town or whatever until then and the screen will cut to black, initiating the easter egg ending. I have also become aware of a bug in the crevice canyon world. 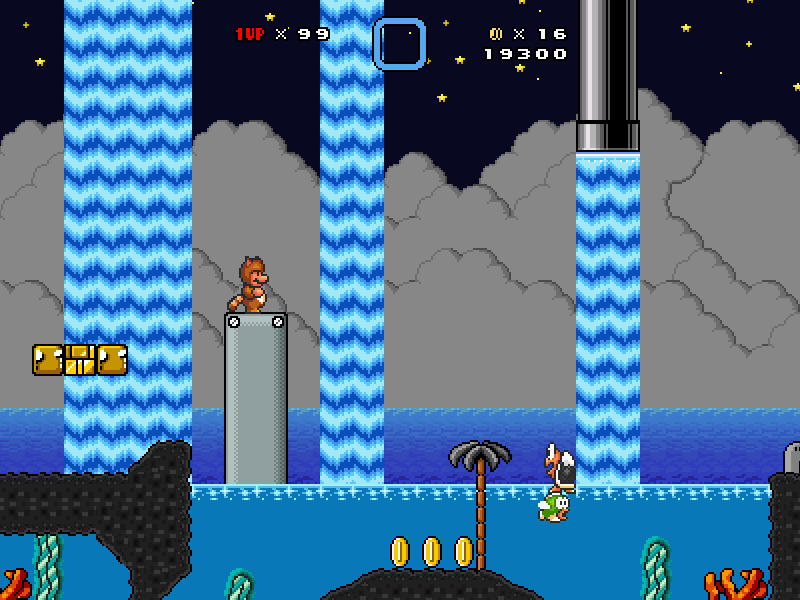 The level "The Tallest Tower" kills the player immediately upon entering. I made the mistake of labeling the level in the world map "warp7.lvl" instead of the level's actual name "level62-2.lvl". I cannot fix this issue as of this moment I'm afraid due to being on a bad internet connection, but if you wish to fix the issue yourself for the moment feel free to swap those names out. In order to load and save the world.wld file without crashing remove the "scene-53" and "scene-53m" files from the Episode folder. Don't forget to put them back when you're done. The location cooridinates of this level is 2656 3296. I apologize for that and will fix the issue as soon as I can. If you find any other issues or would just like to give a little praise (I don't mind haha) then feel free to do so. There is but it's hidden a little too well honestly. I probably should have changed it. Answer in the spoiler below. After the water swimming point and you emerge from the water you'll see 3 coins in a V shape. Above it is an invisible block. Hitting it does nothing, but there's another invisible block above that 3 blocks up and 1 block to the right. Hitting this block reveals a path above with a plunger at the end. Hit the plunger and go the the end of the level. There will be a new path where the big coin question mark is. One more thing, the element of endurance. The dark bowser boss cannot be killed (is not meant to, if you bring a hammer brother suit and kill him that way you'll be scolded for failing the test resulting in your death). You're meant to just survive for 2 minutes or so, hence the element of endurance. Another secret that might need addressing so I will go ahead and give the answer is in Ravine Lake, a level in the Crevice Canyon world. The answer to this secret is in the spoiler below. During the level I'm sure you will find a sign stating "Approaching the keyhole". A little bit later you'll find a sign stating "Beyond the keyhole". The keyhole is obviously located somewhere between these two signs. The answer is a fake wall on the bottom left. Take the key through the wall (the key which you will need Yoshi to get) and at the end you'll activate the keyhole. Then you will open the Element of Agility and have the pleasure of playing the hardest level in this episode. ok, some further impressions of world 2 - world 5. First remark: There are a few levels with secret exits that still have their normal path set to "any exit", so doing the secret exit first unlocks both paths. Now, the difficulty is outrageously high at some points. My lives dropped from 70 to 40 and I felt forced to cheat through placing extra warps a few times. At Mirror Castle, the sections themselves are alright, but there's way too few power-ups for them until getting two tanookis. And the worst thing is, there is no checkpoint. I placed one after the boom boom mid-boss, but still it's not easy to keep the tanookis. At the end, you're confronted with not one but even TWO dark bowsers AND rinkas as an extra hazard. After a few attempts I just decided to create a direct warp, but I still needed a few further attempts (I brought an ice flower from outside, probably the best gadget for this fight). At A Ghostly Entrance, the fairy ride was tricky but bearable until the narrow cage happened - it's REALLY narrow. You have to move bit-by-bit to the right AND dodge a good amount of eeries at the same time, and it makes sudden changes of direction (the coins are not sufficient as indication). One mistake and you're done for; with a power-up at the checkpoint chances would be a bit better. At Swamp Escape (airship), there's the inside section where Mario enters a tank and then rides inside of it, but how do you get out? I just pressed Jump at the end and died. There's no indication of what to do here so I had to skip that as well. At The Element of Endurance, I could probably guessed but I still had liked to be clarified that all I needed to do is survive, and also how long I had to survive (100 seconds). Also the music didn't change for some reason. The worst experience of all was Pyramid Ambrush because of its sliding sequence at the start. I just couldn't figure out at all how to gain enough momentum to reach enough height, despite running first as the hint says. I already lost some lives on the springs (you jump off way too low if you just keep sliding on them), and then I lost 15 further lives and gave up. Too kaizo for an average player in my honest opinion (and I consider myself above-average after two and a half years of experience). Furthermore, even after passing it, with a mushroom only there's still some little chance to die before the checkpoint. tl;dr your design is splendid and innovative, but at some occasions it's too much of a good thing. I'll keep playing this further; if the difficulty spikes are smoothened; I think this is somewhat a candidate to get featured. Mirror Castle level should have a halfway point after the boom boom boss. After you climb the ladder there's supposed to be a cloud with the checkpoint along with a powerup on the left of it. I'll have to double check it to see if it's actually there (knowing me I might have forgotten). Final boss, yeah I can see it being difficult. I'll see to getting rid of rinka or second dark bowser, or even both before my next update. Ghostly Entrance. I agree with the narrow cage. I'll expand it and add a powerup. Swamp Escape. Now this one was interesting. You're not supposed to die but be ported back into the tank. The reason behind your particular death was when you jumped. What's happening during this tank scene as that you (the player) is warped above the section behind foreground background and pushed along with the tank by a solid wall. When the tank stops it takes a second or two for the wall to push you into the insta warp, but I didn't anticipate a player jumping over the warp. Since that happened, well the wall smooshed you. I'll have to add another safety instawarp above the other one to prevent that from happening. Element of Endurance. I believe the music was supposed to change but not sure. I'll see to it. Pyramid Ambush. Yes. So much yes. The beginning was too hard, I don't know why I added it. I'll revamp it next update. Thank you so much for pointing these out. I haven't been able to update the episode yet so The Tallest Tower will still kill players upon entering unfortunately. Another few level I feel you would have issues with is the cloud factory level. It's long and can make lower tier computers lag at certain areas (I implemented lag switches in the areas just in case). The first bonus world level lacks a checkpoint (I forgot to add one so that's my fault, I'll fix this next update). The last bonus world level, Animal Village, may contain sequence breaking. I had issues where talking to certain villagers at certain times would kill the sequence and you couldn't complete the level properly (even though you can walk offscreen to the left at any time to beat the level). Animal Village is a completely optional level and I'm pretty sure it works 100% right now but if you're in the area feel free to talk to all villagers and make sure the 'quest' there can't be broken. The Element of Agility. You will have trouble with this. It's basically a kaizo level and the average player will probably rage quit. I won't hold it against you if you do. The level does have a star at the end but it's optional and doesn't need to be done to progress. The episode was originally meant to have 8 stars but this level was added as sort of an 'ultimate test' I guess which turned the 8 into 9 stars. Well, I forgot to read the last paragraph. I advanced until The Element of Agility and I had some really good laughs from being massacred. Maybe you can figure out and ask the LunaLua-experient people how to do multipoints, because your very long levels really need them. I don't blame them for being long, it's just at the end of the game lacking customizability here. From what I've heard, with Beta 4 it will be trivial to do multipoints without Lua knowledge. also Re: Tallest Tower - it simply links to the wrong level on the world map, namely the warp level that you just pass to access it. I hope you remember how you actually named the level, since you just numbered them instead of saving them under their names, which isn't a recommendable trait. Expect further comments maybe when I finish the rest. Finally got around to fixing those spots (hopefully). New download link in the first post. Once again I would like to thank each and every one of you for showing enough interest to play (and even help of course). It means a lot to me and I wish I had smooshed these bugs sooner. Feel free to post any other bugs you find, I know this isn't the greatest episode ever but I still want to make it the best it can be. Pretty sure this is correct but I'll double check when I'm not at work. Hey man, I hope you're still around and visit again. I'm working on a replay and I'm collecting more criticism stuff that I missed out on the first part; right now I'm about halfway done. If you can respond back, except a PM with the buglist in a few weeks. It's no problem. To be honest I forgot to check the forums as I got caught up in real life. Whenever you can I'll take that buglist off your hands (assuming it's still available) and squash as many as I can.